Posting has been a little light...I moved to a new place and I still don't have a wireless internet connection and I don't like sitting 3 feet away from the modem with this short ethernet cable they gave me. Hopefully will have it all straightened out tomorrow and can get back to posting more regularly! 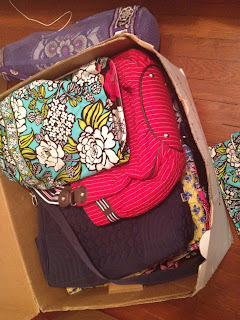 Here is a picture of some of my Vera packed up to move. I found a big bag that opens like a trunk and it held a lot of bags! 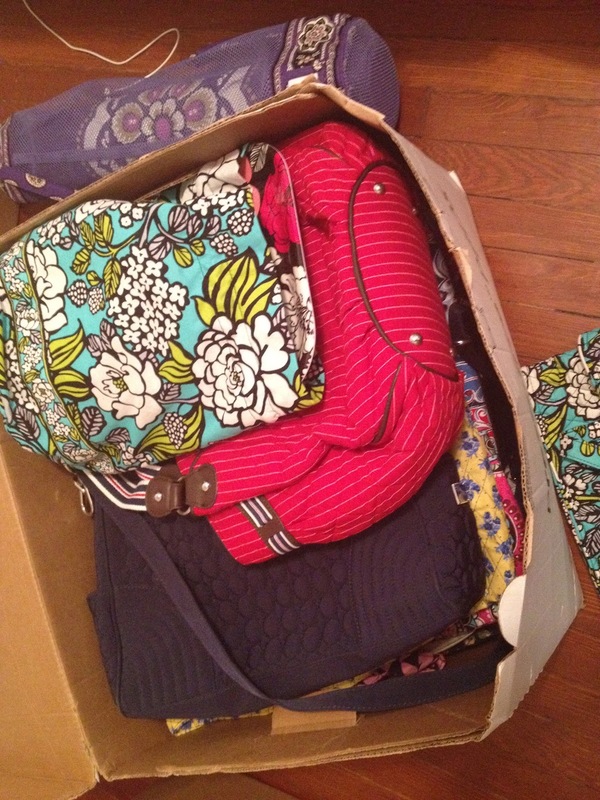 The duffel bags came in handy for moving clothing!